Barcelona has over 4 km of sandy, golden beaches many of which are only a fifteen-minute walk from the city centre and close to your Barcelona holiday rental. Here is a guide to a few of the best beaches you can visit in the city of Barcelona. The beach of Barceloneta is the nearest to the centre of the city. It can be easily reached by walking down Las Ramblas from the Plaça de Catalunya (one of the main transport links in the city). When you reach the monument of Christopher Columbus you will be able to see Port Vell, a contemporary marine area with a variety or shops, bars, restaurants and also the aquarium of Barcelona. This beach is jam packed with fun things to do for adults and children alike, from windsurfing and kitesurfing to swimming. There are also many beach cabanas and bars in which to enjoy a refreshing beverage or light snack under the warm Mediterranean sun. It is the ideal place to bring a picnic and explore more of the Port Vell area after a busy morning shopping and sightseeing on Las Ramblas and the Gothic Quarter. 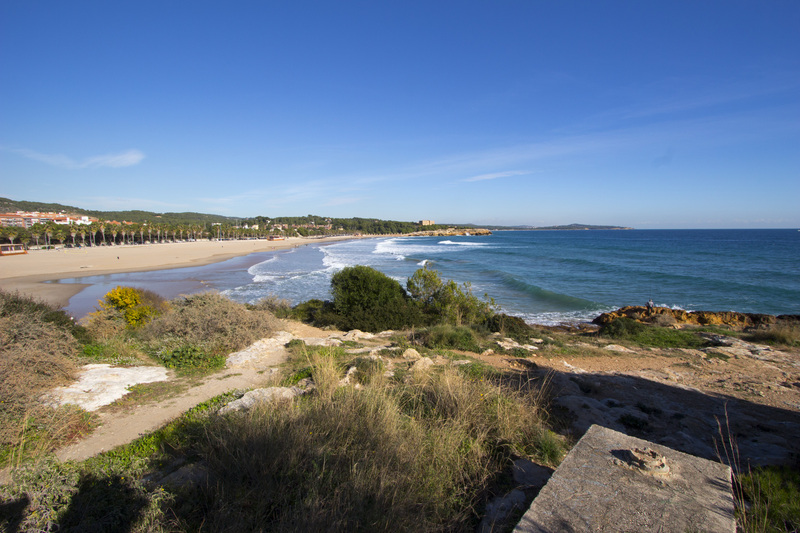 Mar Bella is a nudist beach located slightly on the fringe of the city. There are many people who don’t achieve naked status, who just enjoy it the same as any other beach. It’s a lovely area and worth a visit. Where the Barceloneta beach ends the Icària Beach begins at the Frank Gehry metal fish sculpture also known as Peix. Again, it is a pretty stretch of beach, easily accessible walking from the Gothic Quarter or by tram or bus from the Plaça de Catalunya. Many exclusive hotels such as the famous luxury Hotel Arts line the Icària Beach front. If you would like to venture further afield Sitges is a little further down the coast – a wonderful, fashionable tourist resort, 30 minutes by train from Barcelona Sants Station or alternatively, head north to the pretty areas of Malgrat del Mar or Calella de la Costa by train for a more laid back beach experience close to your Costa Maresme vacation rental.